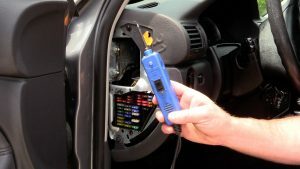 After driving around with no turn signals for an embarrassing amount of time, I finally had a chance to diagnose why my turn signals were not working. They failed in a different way. Often when a turn signal doesn’t work right, the turn signal bulb flashes fast. This was not the case in my car. As you will see, we talk the path for a complete diagnosis of the turn signals. There are many ways that a mechanic may diagnose this issue. I really want to start exposing you guys to my diagnostic approach to issues. Then it’s up to you to form you own strategies for attacking issues. Many of you have asked about supporting the show. For that I thank you. For now, the best things you can do are SHARE THE SHOW, and shop with my links on Amazon. You will not spend any more money that you would normally. 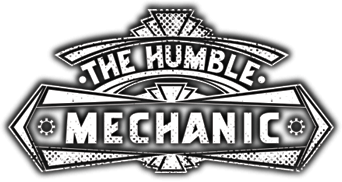 Here is the Amazon link ~ Humble Mechanic on Amazon and you can check out some recommended tools I have listed below. Trouble viewing? Watch “Why My Turn Signals Don’t Work ~ Diagnosis” on YouTube. If you are also facing problem with signal lights, have a look on this blog. Informative as per usual! It’s always helpful to understand the reasons behind car trouble instead of just slapping on a quick fix.